Each FYP/FYT group is required to submit three monthly reports - one by the end of October, one by the end of November and one by January 15th. 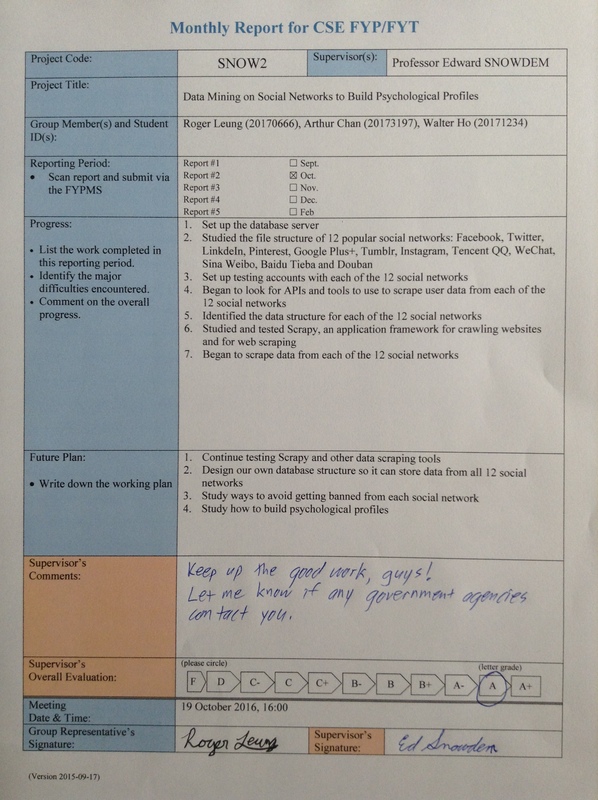 These are required as a means for FYP advisors to track the progress of your work. Download the Blank Monthly Report Form. After the meeting, take normal meeting minutes for Appendix A of your next FYP report. Give it to your FYP advisor, and get him or her to sign it. Scan it to PDF format. Upload the scanned file to the FYP Management System.